Skiing is the main sport and activity in Sappada. That is not the only reason to choose this region for your ski holiday. Sappada offers efficient and well-equipped facilities to enjoy your ski holiday the fullest. Apart of that, the resort accommodation structure is in very high quality. Choose Sappada for your family ski holiday destination. Sappada located in sunny side of Italian Alps is the land for kinds. It offers several facilities easy accessible for families with kids, as well as it hosts the biggest ski playground in Italy - Nevelandia. Sappada is located in the province of Belluno, in the middle of Dolomiti area - the perfect destination for ski holidays. The factors mentioned above, seriously influence the transfer rate. Developing our transfer rate, we take base-rate and alter it taking into consideration all the factors. We never over-inflate our prices for any reason at any time. If you are looking for big savings, definitely choose off-peak and off-season transfers. We suggest you to travel in midweek (Monday to Friday), when the prices are with discount up to 60% comparing with weekend prices. Your price of a transfer will also depend on vehicle availability, transfer schedule, vehicle utilisation and other costs like road tolls and airport parking charges. Sappada is famed for providing an equally incredible experience for all skill levels across the board. From first-timers to seasoned pros, there’s plenty on offer for everyone. Sappada is very entertaining, kid friendly and accommodating ski resort. There you can find great ski schools for beginners of all age. 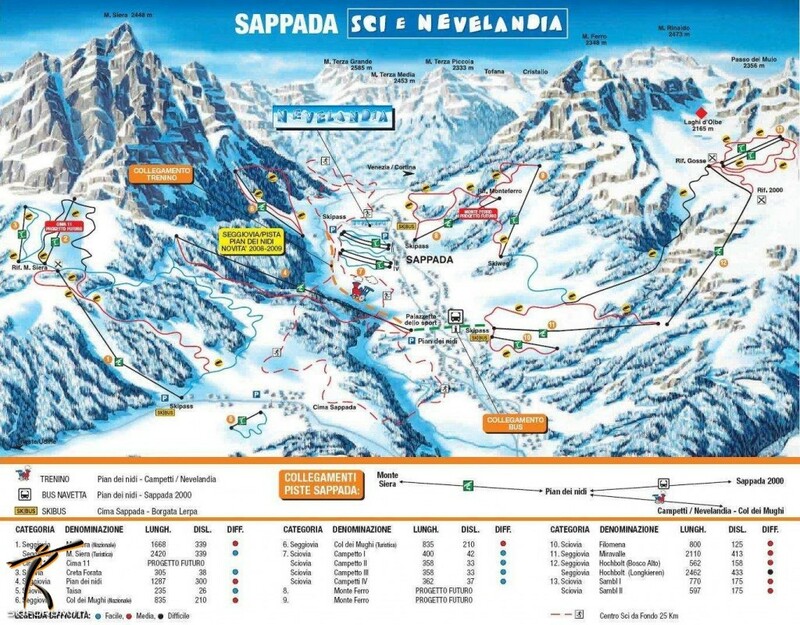 Sappada also offer Nevelandia - the largest snow playground in Sappada. While skiing and enjoying winter sports, your youngsters can enjoy their time with experienced entertaining staff. We think that it takes more than just getting to your destination to provide qualitative transfer service. It is important to ensure perfect and peaceful start (and end) of your ski holiday. Alps2Alps is proud to offer reliable and qualitative service with value for money. We suggest to you to book your transfer as early as possible to be sure of maximum availability and the lowest possible price. If you have any questions or you can’t find the destination or airport arriving, get in touch with Alps2Alps and we will do everything to help you. Great trips to Sappada start with the best transfers – let Alps2Alps show you the way!